Newly renovated and ready to commence on 16/05/19. What are you waiting for! Contact me for more detail while stall last. Only 3 Stall left! Contact me/ Whatsapp me @9745 0184 (Andy) for more detail. Yong Tau Foo, Roasted Delight, Fish Ball Noodle, Fish Soup, Hokkien Mee, Mala, Mix Vege Rice and etc food mix are all welcome!! 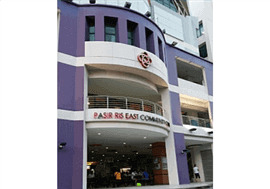 New Coffeeshop At Blk 260 Ang Mo Kio St 21 - Stall For Lease - Call 9745 0184 Now!!!! New coffee shop Opening 31 May 2019!!! 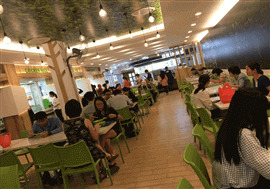 Looking for Roasted Delight, Malay Food, Western Cuisine, Fish Ball Noodle, Mix Vege Rice, Zi Char, Thai Food. Basically all kind of food mix! ! Only 5 Stalls Available, what are you waiting for?!! Contact me/Whatsapp me at 9745 0184 (Andy) for more detail! 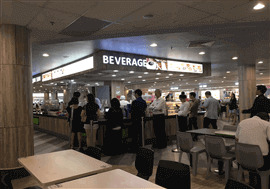 -New Revamped with more seatings added -Brighter and cosy dining ambience -beside polyclinic -near GIANT supermarket -Suitable for Noodles,Ban Mian , Malay Food , Chicken Rice ,Zi Char & Mix rice, Mookata,Fish Soup etc -Call 98247588 now b4 it gone - ACT NOW !!!!!!!!!!!! Food stall at Woodlands rent out with all equipment and utensil .Ready for starting business anytime. Food Stall for Rent / TakeOver, currently selling Fish Soup & Ban Mian. 1 stall can sell 2 types of food, big kitchen. Rental $4k+ 摊位出租，现在卖鱼汤和板面。一个摊位可以卖两样食物，大厨房。 租金 $4k+ No Agent please, thanks. If interested,pls call 90032286 for more details. Food Stall For Rent !!!!! Food Stall For Rent !!!! Stall for takeover. Call 91683458. Contact for rental fee. 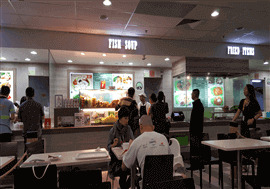 Able to sell economic beehoon, fish sliced, fried fish, seafood soup, noodles such as ban mian, you mian, ee mian etc. Stall fully equipped. ABLE TO START ASAP. Reasonable crowd - letting go due to lack of manpower. Just beside the Famous Sims Carrot Cake!! Industrial canteen noodle stall for rent.